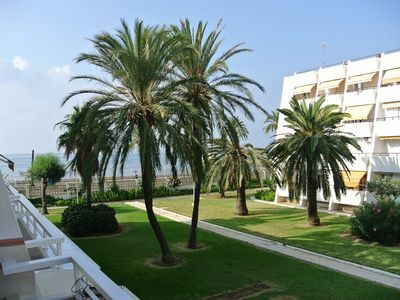 3 bedrooms apartment facing the sea, at first line only 40 metres of the main beach, Playa Llevant of Salou and located on the promenade Jaime I in the center of Salou, in an area surrounded by shops, bars, restaurants, supermarkets, play grounds etc. 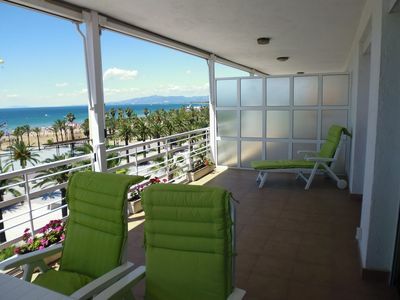 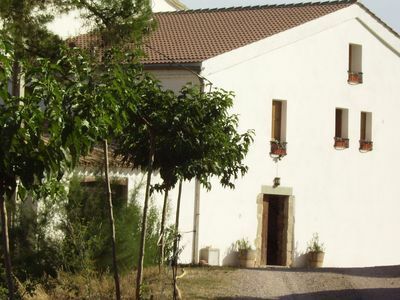 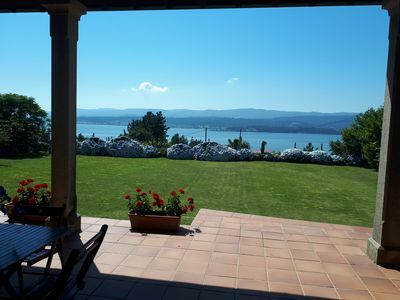 The big and bright apartment of 75 m2 is for 6 people (max 4 adults) is fully equipped. 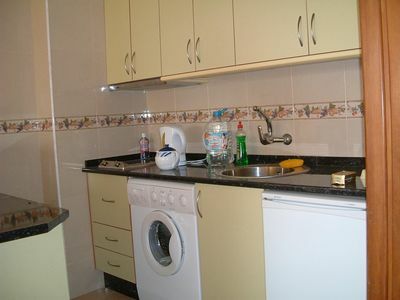 It has a bedroom with a double bed, another bedroom with 2 beds and a third bedroom with a bunk bed. 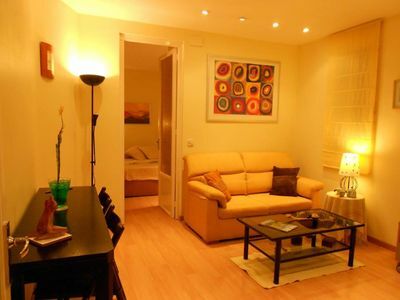 The living-room has a TV and practical furnishings. 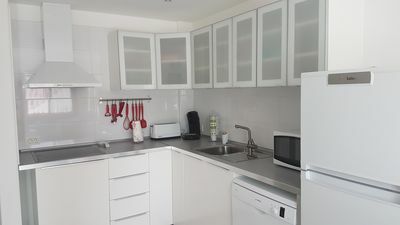 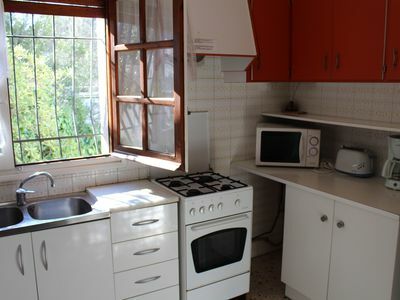 There are 2 bathrooms and an independent kitchen with a glass ceramic hob, micro-wave, fridge, washing machine, plates, cutlery, cookware, coffee pot, toaster and a fruit juicer. 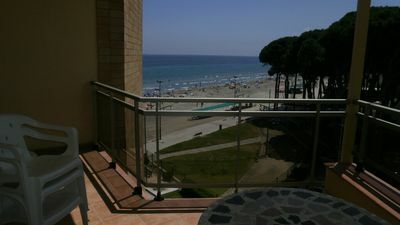 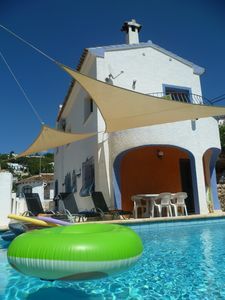 It also has a large balcony with table and chairs so you can enjoy the seaview and spend some pleasant summer evenings. 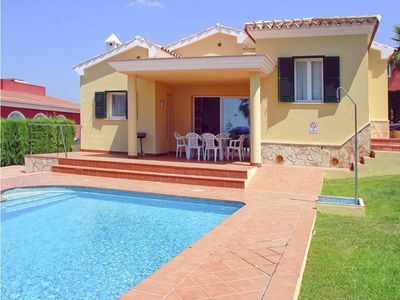 Magnificent three bedroom villa, built on one level.